"I would love to play the Southern Soul music, but I don't know where to get it or even where to find the jocks to play it." "I have found that it depends on where you are located, how many venues in your area and your own publicity plan." "I kno right. I'm waitin! 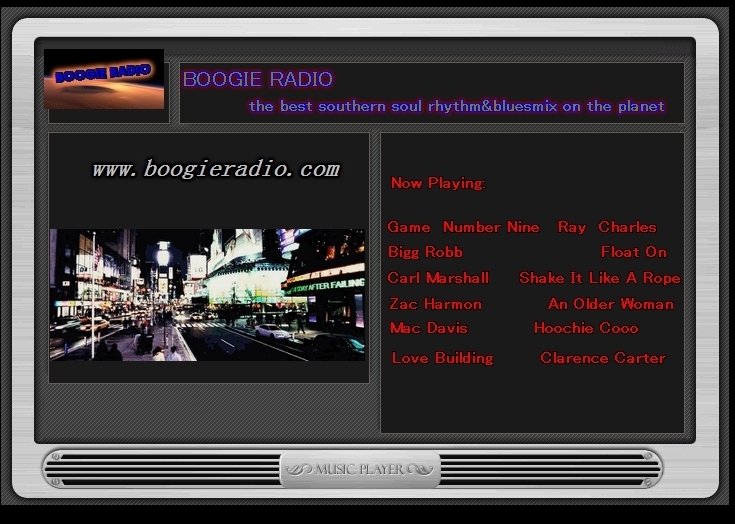 Boogie I hear you putting on big Southern Soul Blues Shows. Well don't forget about me. I'm available!"!" "Attn: Artists , Record labels and A & R people. I need your Product. Please send me your product. 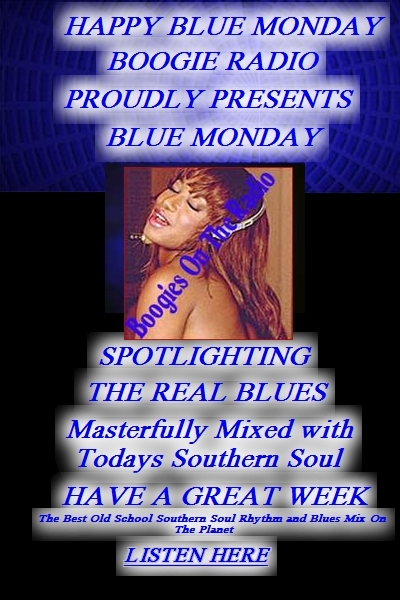 Attn: DJGRANDMASTER"
"Good morning to all of my southern soul blues people. Please be on the look out for " THE GRAND MASTER SOUTHERN SOUL BLUES MIX DOWN SHOW ." "Good morning would you please add me back to your mailing list. Attn : DJGRANDMASTER 100 SUN SET RIDGE MONTGOMERY, AL 36108"
"Well stated Hog Pin! We could accomplish so much if we worked together as a genre to improve, promote and spomsor our shows!" "Well said Hog Pin, We in the Klass Band Brotherhood have been trying to do just that considering we are new in the Market as well. I hate doing track shows the most rewarding part of this journey for me is performing with the Sugaa Shack Boys in the…"
"Find more videos like this on The Boogie Report"
"Here's a song you probably haven't heard on mainstream Soul radio: Pop This Pill by Hard Bargain http://thebassguy.com/popthispill.mp3 featuring NC's own "King Arthur" Canady! pass it along if you dig it, or d/l the CD or…"
"Wow James very discouraging to hear that being from the same state. I have a foot in blues right now and trying to merge into the Southern Soul genre. I just released a single with the intent that I may never see any fans on that side. But somebody…"
DJ Grandmaster, I'm checking to make sure you received my music, Cheatn on da Back Street, if not please let me know. DJ GRANDMASTER,thank you for excepting my request.I'm a new artist on CDS Records Lable.my new single is(I'm in love with a woman that other women talk about) Produced by Carl Marshall.Contact info(email..captainjackbluessinger@yahoo.com) thakyou and may God bless you and your family. Good luck in school DJ GRANDMASTER ! The 2009 edition of Who’s Who contains professional and biographical data about individuals of accomplishment who are part of the worldwide Black Music Community.